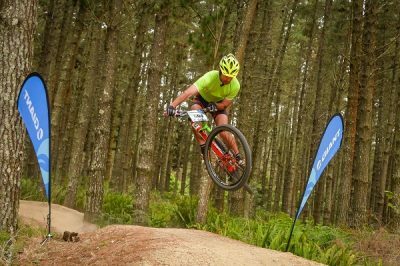 Providing a cross country racing opportunity for mountain biking enthusiasts in the Eden region is at the core of the second Madibaz XCO Series, which kicks off next Sunday. Based at the NMMU campus in George, the series will comprise four events, with further races taking place on June 10, August 27 and October 29. The August leg will, for the first time, include an intervarsity division for top student riders from around the country. Race director Jan Venter, of NMMU, said the series was aimed at attracting riders to the sport and that was why they had opted for a cross country course rather than a point-to-point route. “As our main focus is on development, cross country, which is an Olympic sport, is the way to go in setting up the course,” he said. Venter said they would like to see the series – now in its second year – grow and for this reason they had deliberately kept entry fees reasonable. He added that they had attracted about 60 participants per race in the inaugural series and hoped to improve on that, thanks to a sponsorship from Old Mutual Private Wealth Management. 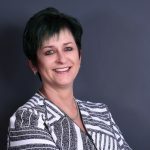 “This sponsorship has enabled us to offer some attractive prizes while Old Mutual will also be bringing some of their clients to take part,” said Venter. Further support for the event, which is open to anyone, has come from Ridelife George, Giant South Africa and Tippeton. He said the length of the laps were 5.1km for sub-juniors (12 years) and up and 3.2km for the younger categories. “In cross country racing there is a nice mix of everything, with some technical areas, single-track and normal gravel roads making up the course. Venter added they had collaborated with the Mountain to Ocean Forestry company in the construction of the course as part of it crossed their land. “We have also worked with the Hillbillies Cross Country Club, who have built a lot of trails in the area, and we also built some trails. He said the series champions would be determined by adding the points from riders’ top three finishes together. Go to www.madibazmtb.co.za for more info or to enter.